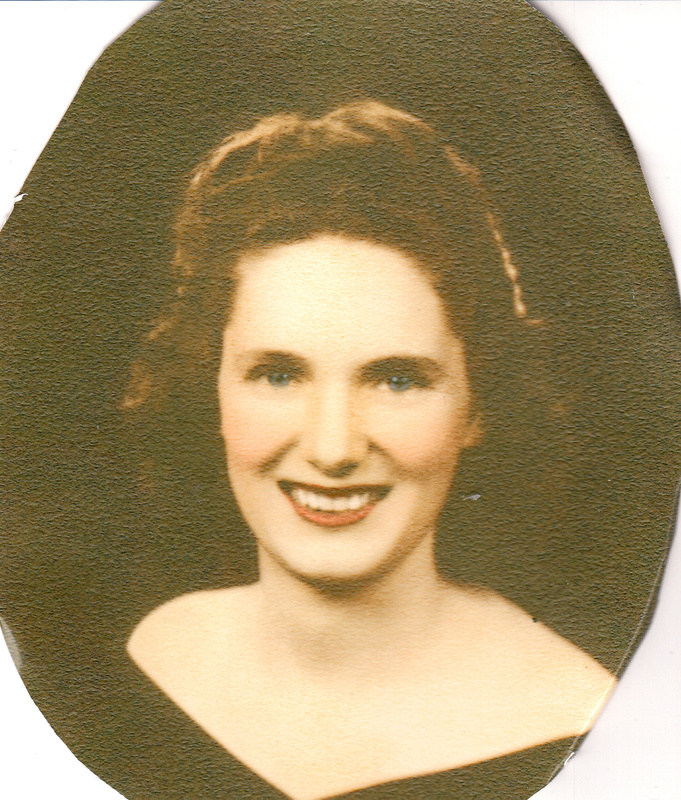 My mom, Edith F. Duffy, was born in Winnipeg, Canada, to Adam and Lydia Porter on September 15, 1919. She already had one sister Jane, and one brother, Billy. Adam and Lydia went on to have seven more children, Mary, Leonard, Jackie, Madge, Maisie, Arthur, and Ruth. Adam had come from England, and Lydia had come from Scotland. They met in the old country and married in Canada. In Canada, Adam and Lydia lived near Lydia’s parents, John and Jane Gray. Adam and John joined the 100th Winnipeg Grenadiers together and served in Europe during World War I.
Adam and Lydia crossed the Canadian border to the United States with Jane, Billy, Ada (my mom), and Mary to join the Gray family who had moved to New York to continue the vaudeville singing and dancing act they had begun in Canada. The Grays and the Porters remained in close contact for the rest of their lives. Ada graduated from a technical high school where she studied dietetics and nutrition. She got a medal as the outstanding student in her class. She went to work in the dietary kitchen at Coney Island Hospital. There she met, and eventually married, a young orderly named James Joseph Duffy. Joe Duffy was from a large Catholic family, which was kind of strict and straight-laced. Joe loved being with the Porters, who were a very fun group. 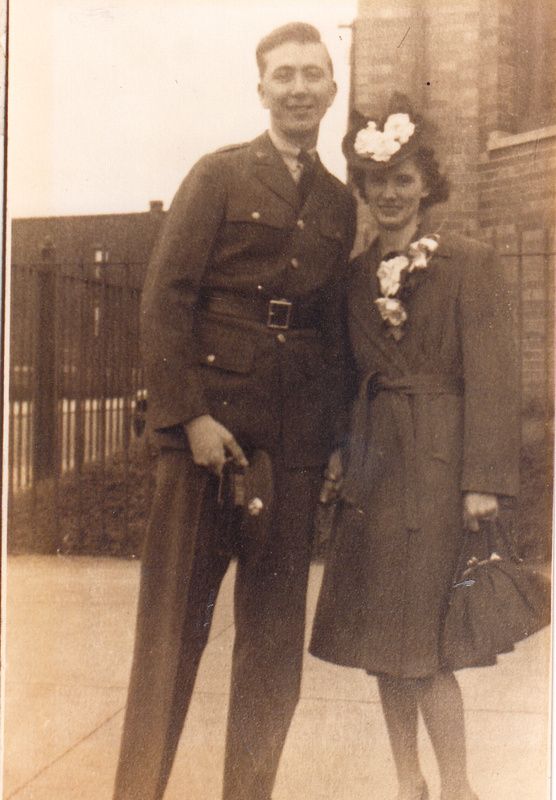 Ada and Joe were married on April 12, 1942, at Resurrection Church. Since Ada was Lutheran and not Catholic, they were married in the Rectory. Joe had enlisted in the U.S. Army Corps of Engineers, as World War II was raging in Europe. Joe landed on Utah Beach on D-Day. As a member of the Corps of Engineers, his mission was to move ahead of the other divisions and build bridges to be used to cross the rivers of France and Germany. When Joe returned from Europe, he as lovingly greeted by Ada and a precious young baby, me! I had been born in Brooklyn on August 24, 1943. My mom lived with her family at 37 Joval Court, Gerrittsen Beach, Brooklyn, while my dad was away. Joe decided to make the Army his career. Our family lived in Japan, Virginia, Germany, Ohio,, and Alaska during his twenty-one year career. 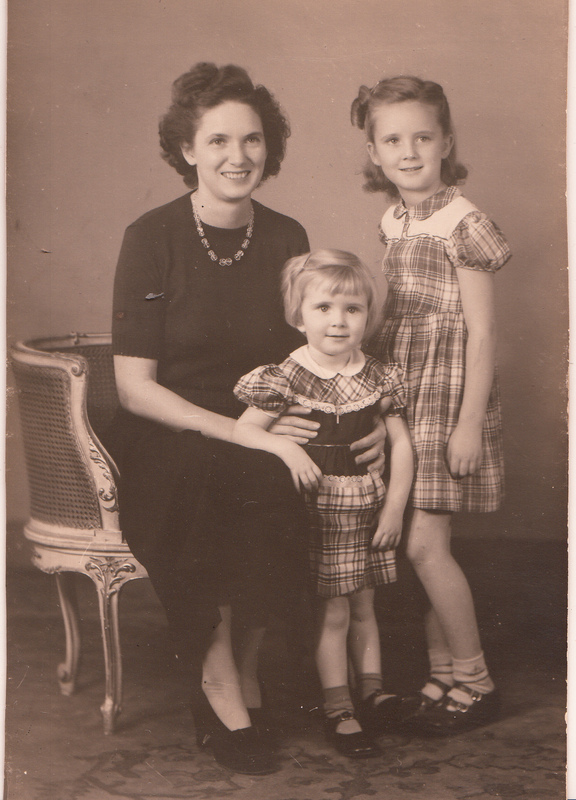 My sister Mary Jo was born in Yokohama, Japan, on September 20, 1947, which was then part of occupied Japan under General McArthur. When my dad retired from the Army, he went to work as a civil servant in Supply and Maintenance. Eventually, Joe and Ada ended up in Lexington, Kentucky, where they lived until they died, Joe in 1992 and Ada in 2008. Mary Jo died in 1994.